I was a kid in the 80's and one of my very favorite pair of shoes were some neon chucks. My grandmother thought they looked like "the ugliest bowling shoes ever" but I remember them fondly! 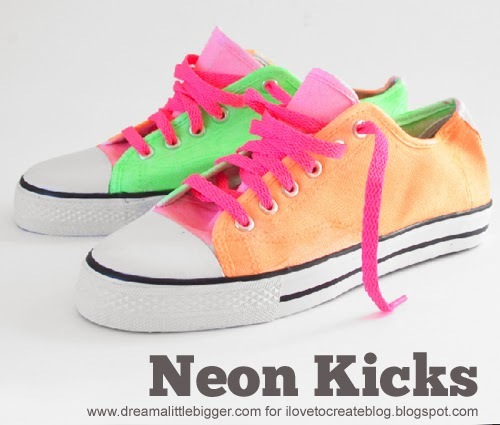 With the resurgence of neon it seemed the perfect time to recreate those fun, neon kicks! Because I don't have reason to wear neon every day I decided to downgrade my original chucks with generic brand sneakers. Search on Ebay for a great deal but be warned these bargain shoes often run a size smaller than what you would normally purchase. 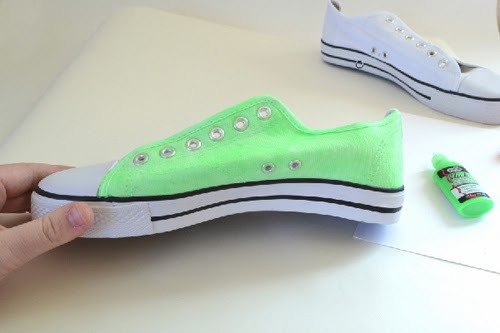 Using your fabric paint brush smooth neon green on the inside of your shoe. 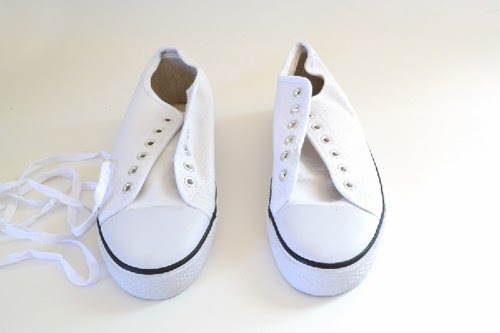 Use cotton swabs as needed to remove paint from the insides of the eyelets. Apply several thin coats until you achieve the brightness of the neon you're going after. 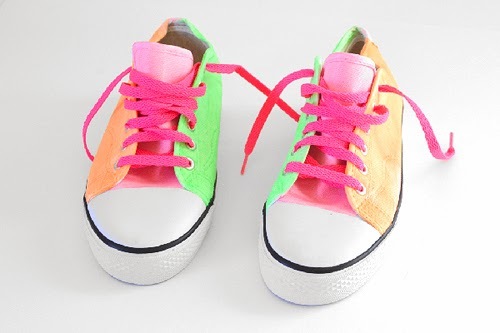 Paint the outside of each shoe neon orange and the inside neon pink. Only paint one color at a time and allow to fully dry between coats and to prevent from getting pink on your orange, etc. 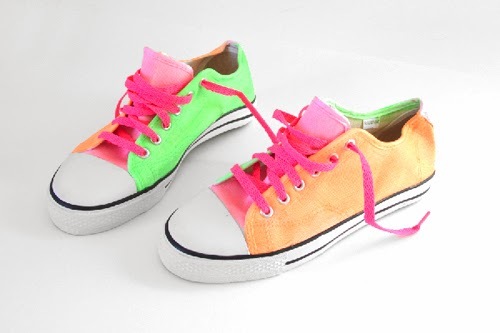 After they have had plenty of time to dry lace with a fun pair of neon laces. Get them on and get after it! Dream a Little Bigger! Thanks so much for reading! sneaks…Thanks for the idea and directions. Love these! They are super cute! If you have other kid-friendly crafts, we'd love it if you would submit them. If you would like to display a featured button on your site, you can grab one from the right side bar of your post above. Thanks for an awesome project idea!